Holowczyk and Kabirov become leaders in Volgograd. If yesterday it happens to Stephane Peterhansel being stranded on the track, today was the turn of Nikolaev. 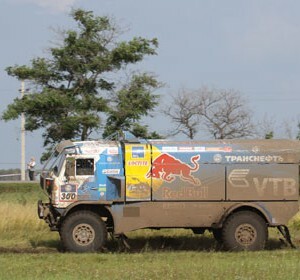 The pilot of the Russian Kamaz team has stopped at km 149 of the special with a breakdown in his truck. 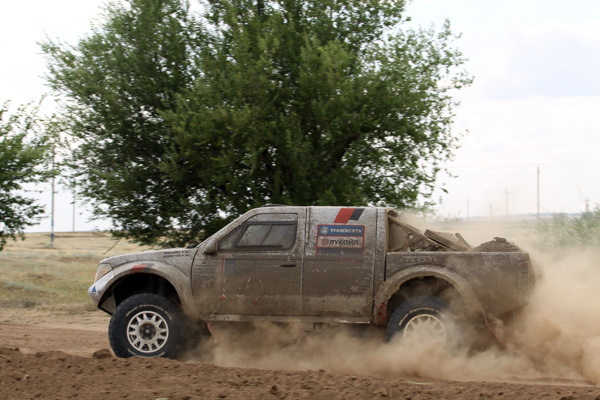 The second stage of the Silk Way Rally from Lipetsk and Volgograd see how Peterhansel return’s to its natural position, the Frenchman won the stage with little more than fourteen minutes ahead of the pole Kzristov Holowczyc, which becomes the new overall leader. The former world champion of endurance and Team Dessoude’s driver, Christian Lavielle ranks third in the stage, fifty seconds behind “Mr. Dakar” and the second place overall to fifty-three minutes from the polen. Unlike yesterday, the Russian pilots haven’t monopolized the top positions. Aleksander Mironenko finished fourth followed by Berkut and Zheludov. The pilot of Opel Hungary “Balu” Szalay has made another good step and qualified in seventh position. Today’s special ran through a field very similar to that were participants in the stages of entering Sahel in Senegal, This landscapes confirms the excellent position of the Silk Way to be the ideal race to prepare the Dakar. Many European teams have responded to the Russian call seeking development of machines and pilots. 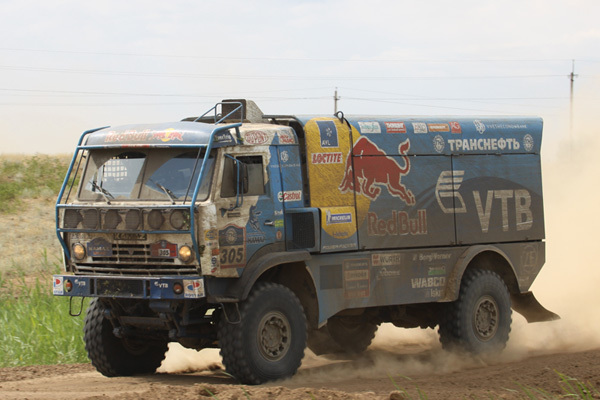 On the Silk Way, the premier class is the trucks and one of them is the “Galactic” or “Dream Team” of the off road races, the Kamaz Master team is a kind of national team of Russian Kamaz trucks factory. The race started well yesterday with the hack of Nikolaev to claim the top spot scracht but today hasen’t been fortunate whe he was forced to stop due a failure on the 149 km of the stage and now still on the SS . The relay has taken by Firdaus Kabirov who was very close to be overtaken by Hans Stacey who manage a good stage eager to take off his spine after yesterday’s problems. 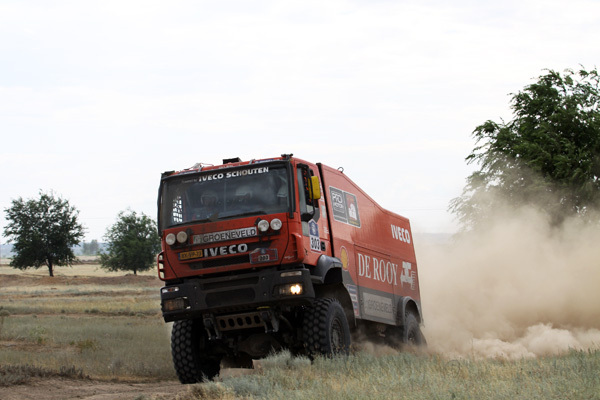 The winner of the last African Dakar has completed the Special Stage four minutes and one second behind Kabirov. After the Dutch’s Clockwork Orange has reached the Kamaz of Karginov 21 minutes of his teammate. Six minutes less than Ales Loprais that climbs to third place overall.